2018 Fourth of July in Manzanita – Explore Manzanita! While there will be no evening fireworks display in Manzanita this year, there are still plenty of ways to celebrate Independence Day with us! Get an early start with the annual Fourth of July Pancake Breakfast on Wednesday, July 4 from 8 am to 11:30 am at 5th & Laneda Ave (former fire hall). Bring your friends or make new ones while enjoying a hot breakfast in support of local Neah-Kah-Nie athletic programs. 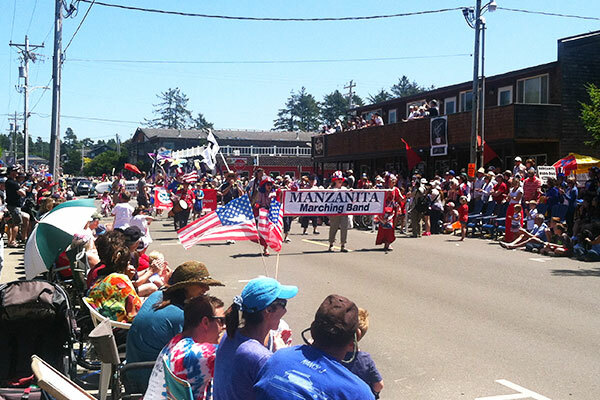 The celebration continues with Manzanita’s wonderful Fourth of July Parade! The theme of this year’s parade is “The Spirit of America”. A flyover from Oregon Air National Guard will be a 1:15 pm and the parade starts promptly afterwards from Division and Laneda. Parade registration forms are still available for the Manzanita Fourth of July Parade. They can be found at City Hall or on the City website www.ci.manzanita.or.us. Forms may be returned to City Hall prior to the 4th or on the day of the parade to the Registration Desk at Underhill Plaza. The registration desk will be open from 9:00 am to 12:30 pm. A special section for military veterans will be near the front of the parade. Arrangements will be made for veterans to ride the parade route. Veterans who would like to be in the parade should contact Owen Nicholson at 503-368-5493 or leave a message at City Hall 503-368-5343. Come join us and be a part of this grand Manzanita tradition!